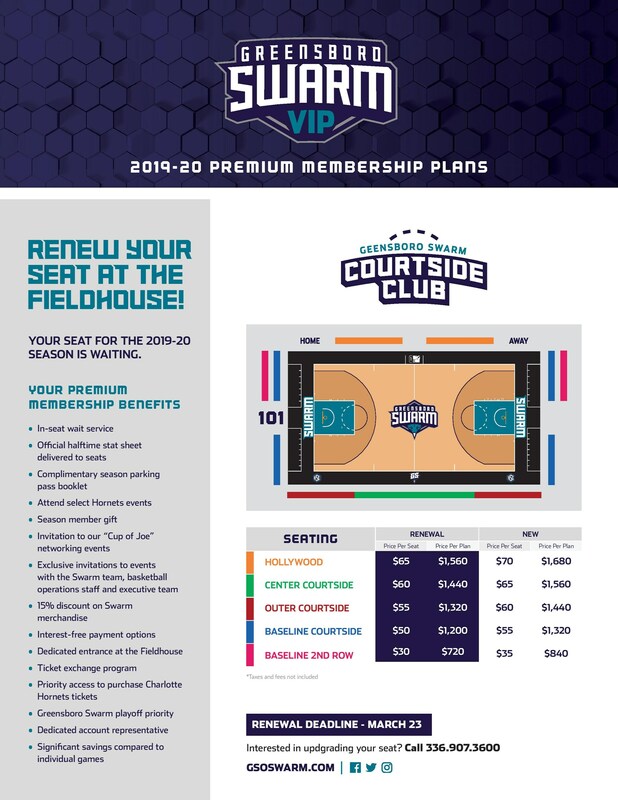 Call 336-907-3600, email swarm_tickets@gsoswarm.com, or click here to connect with one of our ticket account executives if you have questions or would like to purchase today! We look forward to having you at the Fieldhouse for our fourth season. Call 336-907-3600, email swarm_tickets@gsoswarm.com, or click here to connect with one of our ticket account executives.